Late last month I had such an amazing session with these two! Mariah had explained that they love to go for walks and explore in the woods. She suggested this spot that I had never been to before so I was excited to see what the area was like.... Im also keeping it a little secret I loved it that much!! I was in love! 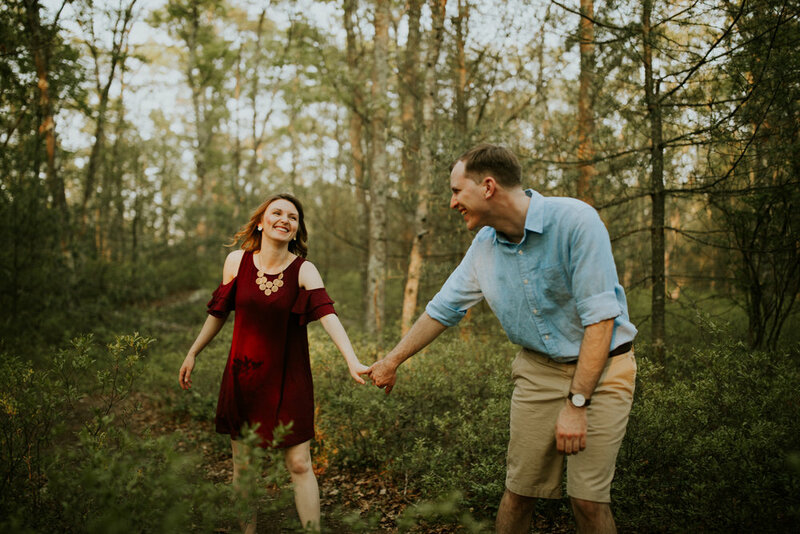 Beautiful tall grasses, ferns, trees, and a few caterpillar nests along the way :) Not to mention Mariah and Zach made the session a breeze! You can immediately tell their love for each other and adventure through these photos. Found a couple of buttercups while wondering around so cute! 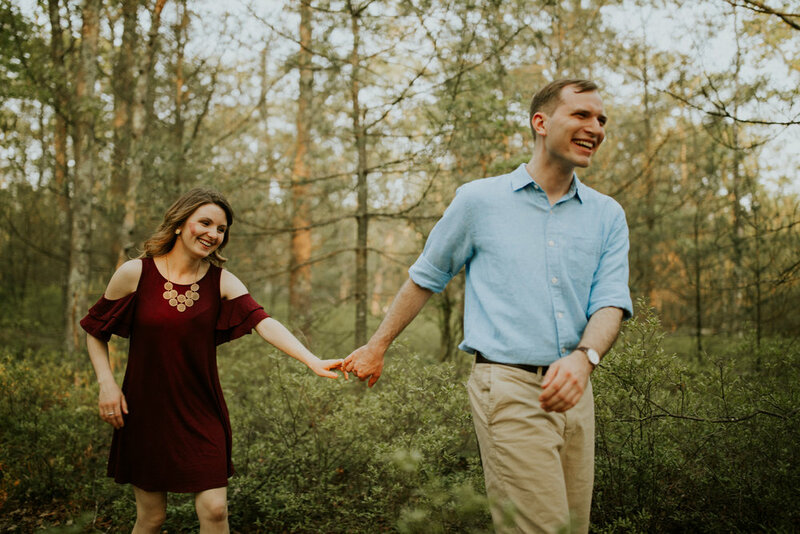 Thank you again to Mariah and Zach for having me capture your love and laughter :) It was great getting to know you both and looking forward to working together in the future! Congratulations! Get ready for some wedding blogs coming soon!